In Florida, drug trafficking, possession, and other drug-related crimes are very serious offenses that warrant stringent prison sentences, large fines, and additional punishments, such as probation, community service, and state mandated drug rehabilitation. Unfortunately, because of Florida’s high drug crimes rate, prosecutors aggressively try to pursue serious drug convictions, even if the crime does not necessarily deserve the proposed charge. 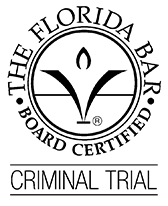 Because of this, if you were charged with a drug crime in Florida, it would be in your best interest to obtain the representation of an experienced and aggressive Tallahassee drug trafficking & possession attorney. Joshua Zelman, founder and principal lawyer at Tallahassee’s Zelman Law, and his team of dedicated legal representatives stand up for the accused and give them a voice when it seems that no one else wants to hear what they have to say. For the most compassionate and effective legal counsel, reach out to the team at Zelman Law right away. Under Florida law, drug trafficking is a felony and is defined as “Any person who knowingly sells, purchases, manufactures, delivers, or brings into this state, or who is knowingly in actual or constructive possession of X amount of a controlled substance or illegal drug.” The charges and penalties you face all depend on the type of drug you were trafficking and how much of it you had on your person. For instance, under §893.135, Fla. Statute, trafficking anywhere from 25 to 2,000 lbs. of marijuana, or possessing more than 300 cannabis plants, comes with a mandatory minimum penalty of three years in prison and a $25,000 fine. However, possessing just four to 14 grams of heroin comes with a mandatory minimum penalty of three years in prison and a $50,000 fine. While it may seem hopeless at first, you are able to beat trafficking charges. By conducting a thorough investigation into the case, we can uncover evidence that will essentially hinder the prosecution’s ability to prove beyond a reasonable doubt every element necessary to convict you. We can challenge whether the drugs were yours, or if you were just in the wrong place at the wrong time. We can also challenge any search and seizure, and determine if law enforcement violated your 4th Amendment rights. Those are just a few examples of how a Tallahassee drug trafficking, possession, and other drug crimes attorney can help you clear your name or obtain a reduced sentence. Many cases of drug possession in Florida result in misdemeanor charges, and entail far less serious consequences than drug trafficking charges. Drug possession is the possession of drugs without the intent to sell or distribute. Whereas possession of marijuana with the intent to distribute is charged as a felony and carries a penalty of up to five years in prison and a $5,000 fine, simple possession carries a maximum prison sentence of up to one year in jail and a $1,000 fine (§893.13, Fla. Statute). However it is important to note how a jury differentiates between possession and trafficking. In regards to cannabis, simple possession is only charged as such if you are carrying 20 grams or less of the substance. If you are carrying more than 20 grams, law enforcement may assume you intend to sell it. Moreover, it may be difficult to explain why you are carrying 25 lbs. for personal reasons. The same goes for all other drugs: the more you carry on you, the more likely you will be charged with drug trafficking as opposed to the lesser charge of drug possession. Like drug trafficking charges, the lawyers at Zelman Law are equipped to defend you against drug possession charges. By utilizing the same techniques of disproving the prosecution’s case, our team can effectively lead you to a beneficial outcome and protect your future. If you were recently charged with drug possession, trafficking, or any other drug crime in Tallahassee, FL, it is imperative to your future that you contact our law firm right away. Located in downtown Tallahassee, our office is a mere minutes from the Leon County courthouse. To make an appointment with our drug trafficking, possession, and other crimes attorney, call our office at (850) 765-5948 between 8:00 and 5:00 pm, Monday – Friday. If it is after hours, contact us online to reserve your appointment.